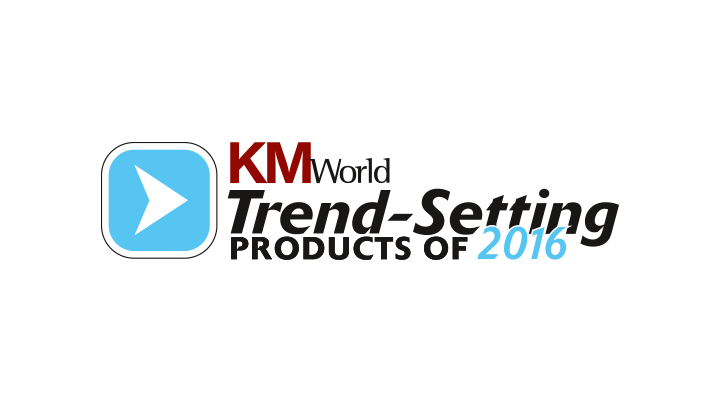 Mindbreeze InSite is "Trend-Setting Product 2016"
Mindbreeze receives the prestigious KMWorld Award for Mindbreeze InSite. The "Trend-Setting Products 2016" were selected from more than 700 entries. KMWorld is the leading magazine for Knowledge Management Systems and Content and Document Management in the US.